In addition to having my own design studio, I have a couple side projects that I’m really passionate about. 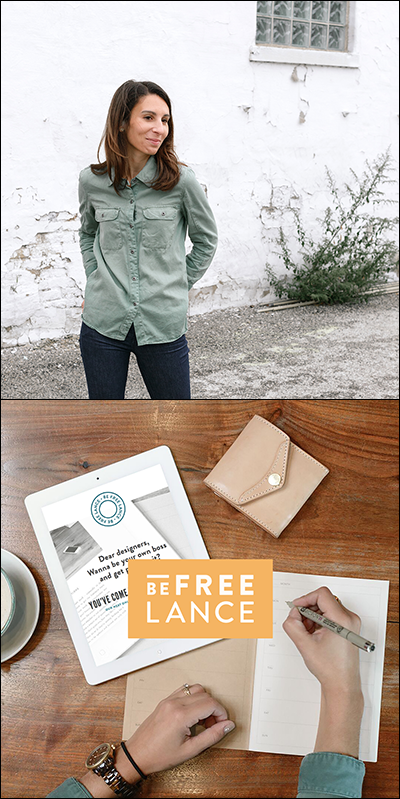 First, I’m the co-founder of Be Free, Lance with Breanna Rose, an online course for designers looking to be their own boss in some way, shape or form. It’s a four-week course that covers everything from finding your dream clients, to pricing your services, to finding a happy life/work balance. Breanna and I both became our own bosses by taking very different paths (I spent four years in advertising first, and she’s been off on her own since college graduation), and we wanted a way to share those unique perspectives with people—because there is no right or wrong way to do it! We want to encourage designers that whether you’re working for yourself full-time, or just taking on extra freelance projects to build your portfolio after your day job, that it can be a great way to gain experience and do more of the work you want to do. The course has been up and running for almost a year now! And we’re in the midst of our third session. We’ve had over 200 students and love seeing them work their way through the lessons, as well as interact with each other as a growing community on our private Facebook group. 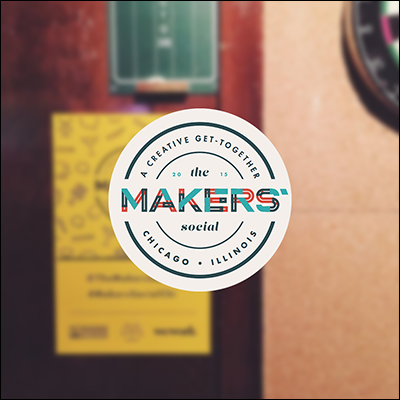 I also recently co-founded The Makers’ Social with Amy Schwartz here in Chicago, which is a quarterly get-together for makers and creatives of all types. We got the idea after planning a successful designer get together with Working Not Working, and had such a great response from the people that attended. We thought we would continue the sentiment and make it something that happens regularly in the city. A lot of times the idea of “networking” scares creatives, or makes them feel nervous and uncomfortable. We want to create an environment where makers of all types can get together, hang out, have a beer and get to know each other, without the pressure of formal networking. Right now we are in Chicago, but looking to expand to other cities soon! Our first event was a great success, we had over 130 RSVP’s and some amazing sponsors, including Rohner Letterpress, Mohawk Paper and WeWork Chicago. We’re in the middle of planning our next event for before the holidays, so keep your eye out if you’re in Chicago! For me, both of my side projects are ways for me to give back and get more involved in my community, near and far. For Be Free, Lance, I love when students come to Breanna and I after the course and tell us how helpful it was, and how much more confident they feel to go pursue their dream of being their own boss. That’s all I need to hear to encourage me to keep pushing along, and feel like I’m helping out people that are in the same position I was five years ago. When I graduated college, there weren’t many resources available for freelancing, and I kind of just figured it out as I went along. I would have benefited so much from a course like this, and that’s why we’re doing it! As for the Makers’ Social, I love tapping into my event planning side and bringing people in the community together. I moved to Chicago five years ago, and didn’t know a single designer—fast forward to now, and I’ve met so many great mentors, colleagues, and people that share the same passions I do. I want to continue to encourage those relationships in our city, so makers can keep meeting, collaborating, doing groundbreaking things together, and most importantly, forming lasting friendships that go beyond any design project. Diptych and image courtesy of Jen Serafini.